It’s been five years since Dota 2, but Valve is finally back with the game everyone’s been waiting for: Half-Life 3 A collectible card game. Hmm. That news, plus Yakuza 6 hints at a PC release, Logitech acquires the Yeti mic maker Blue, Life is Strange 2 gets a new teaser, Lords of the Fallen 2 starts from scratch, and a World of Warcraft bug for the ages. This is gaming news for July 30 to August 3. It’s summer, which means the outside world is a hot and horrible hellscape. How kind of game developers to give you free entertainment this week then, and lots of it. First up, Endless Space 2 and Endless Legend are both free-to-play for the weekend, via Steam. Then there’s Absolver, sort-of a brawler with an incredibly complex animation system that makes it probably one of the most realistic (and impenetrable, and rewarding) fighting games I’ve played. And finally, Murderous Pursuits. It’s a multiplayer assassination game from the same team as The Ship, but although it released earlier this year it doesn’t seem like Murderous Pursuits has quite taken off. Thus it’s stuck in the same hell as all those multiplayer-only games, already struggling to find and retain an audience. Hopefully this free weekend will help. I think I’ve got this straight: Once upon a time Frogwares, developer of the guilty pleasure Sherlock Holmes games, was working on a Call of Cthulhu game for Focus. Then they weren’t, and some other developer took that project over—but Frogwares is still making a Lovecraft-styled game, The Sinking City. That covers it, I think. Anyway, there’s a new trailer. It’s pretty grim, but in that lovably janky Frogwares way I’ve come to know so well. Okay, they might not be games anyone wants, but Valve is officially making games again. Or a game, at least. 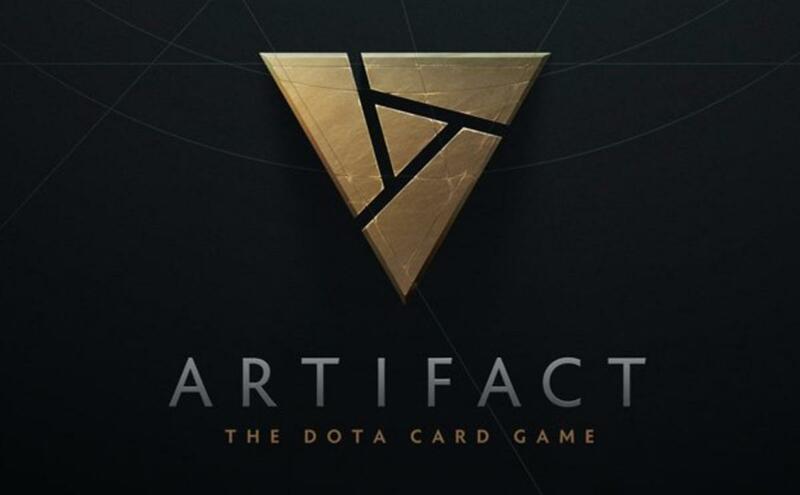 Artifact, the Dota-based card game Valve famously unveiled to a groaning audience at last year’s International, now has an official release date, November 28. It’ll cost $20 up front, and our prior Artifact coverage breaks down what your investment gets you. Oh, and surprise, surprise: Players will be able to buy and sell cards on the Steam Marketplace. Sounds great for Valve at least. Darksiders III ($60 preorder on Humble) is out in November, and IGN continues to have all the details about it. Seriously, I still haven’t played it—though I think I might finally get a chance at Gamescom this month, fingers crossed. In any case, IGN’s got a new video showing off some of the environmental puzzles and so-on, which is the part of the game I’m most interested in. Logitech expanded its hold on the streaming market this week. After acquiring Astro about a year ago, this week Logitech announced it’s acquiring microphone maker Blue, creator of the beloved Yeti and Snowball mics—a staple of many streaming setups and podcasters. Add in the C922 webcam and Logitech’s quickly becoming a one-stop shop for all your Twitch and YouTube needs. Anyway, don’t expect much of a change on the public-facing end. 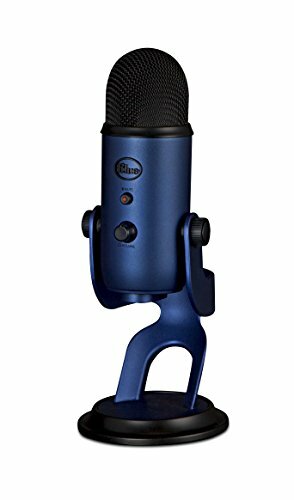 Blue will keep its branding, same as Astro, and presumably (or hopefully) keep making the high-end mics the company was known for before streaming became a staple. Bold play by Logitech though. First I thought Life is Strange 2 was being announced at E3. False alarm—it was the free-to-play Captain Spirit. But then Dontnod announced Life is Strange 2 ($40 preorder on Humble) like, two weeks later and all was well with the world. It’s releasing this September, and there’s a new teaser this week involving an Officer K. Matthews. Look for a longer trailer on August 20. And another, even shorter teaser this week, this one for Destiny 2. Bungie’s planning some sort of “Combat Reveal Stream” for August 7 at 10 a.m. Pacific. Not sure what it’ll focus on, as most of the stuff in the teaser is already known—more flexible weapon loadouts and a shorter time-to-kill. Maybe of interest though, to those of you desperately holding out hope for Destiny 2 PvP. Lords of the Fallen 2 has been in production for years now, which made Eurogamer’s report this week pretty shocking to read: There’s a new studio in charge, helmed by some ex-Avalanche employees, and development’s starting over from scratch. That’s uh...well, good luck. Sega really might be all-in on the PC for Yakuza games now. After releasing Yakuza 0 on PC this week ($20 on Humble) and with plans to release Kiwami before the end of the year, now Siliconera has spotted references to Yakuza 6’s arrival on PC sometime in 2019. Pretty exciting! Oh and please, take this Yakuza 0 launch trailer while we’re at it. Let’s finish up with one of the worst bugs in recent memory. Earlier this week, World of Warcraft players noticed something odd: After traveling from one zone to another, their quest log would appear completely empty. Any progress on existing quests? Gone. Keep in mind some of them take days of dedicated play to finish. So uh...yeah. Quite a problem, and while Blizzard’s fixed the issue and prevented it from happening to anyone else, those who lost progress are apparently out of luck and must go pick up the quests again and start over. Ouch.